Iseult White © 12 April 2018. As a child creativity was my friend. Reading, writing, painting, sewing, piano, and ballet created sanctuary from a childhood punctured by trauma. But when it came to adulthood I turned away from creativity. I didn’t see a way of making a living out of being creative. I was on the run from trauma and I believed sanctuary was to be found through a career. A successful career meant money, and money meant safety. Leaving school I had no idea what to study. Computer science was just moving out of math and engineering departments into an area of study all of its own. My deep love of all things cyberpunk gave me a completely exaggerated and romantic idea of what working with computers would be like, so I signed up for a degree in computer science. The truth is computers disappointed me. Back then they were nothing like William Gibson’s matrix in Neuromancer. But as a means to an end a degree in computer science certainly did the trick. I moved to California. By day I worked hard in Silicon Valley, and by night I played equally hard in San Francisco. I wrote my first book while working in Silicon Valley. A book about how to design software systems. It was well received and became a university text. I didn’t register it as much of an accomplishment because I didn’t consider it “Writing”. For me Writing (with a capital W) was something artistic and literary, and my book was neither artistic nor literary. It was a tool to further my success, fulfilling that drive towards safety. Once I felt secure enough in life I turned my attention to dealing with the PTSD that had accompanied me throughout my life. PTSD is an experience of fractured consciousness, terrifying memories that assault the senses with out warning, and a frequent and disorienting dislocation in time and place. There is no one right answer to resolving PTSD. It was difficult to find good answers. It was only when I tuned into my own sense of innovation and creativity, and stopped seeking the answers outside, that I found a way of living with and beyond PTSD. I found relief through quilting together a patchwork of approaches that worked for me. Mindfulness and meditation were part of that patchwork. They helped to create a spaciousness around the relentless and exhausting experience of living with PTSD, and with more space, new and creative solutions came into focus. Along the way I returned to college to study psychotherapy and there I started writing again. Essays at first. Then my master’s thesis. While writing my thesis I rediscovered a long dormant joy of telling stories, storytelling being a key part of the qualitative research method I had chosen. There and then I put in place an intention to write a book sometime in the future. I had no particular book in mind. I trusted that some class of a book would eventually find me, and through me find its way into the world. It was through my work with teenagers that this book found me. As an adolescent psychotherapist I meet distressed young people and their equally distressed families. I kept wishing that there was an accessible book I could share with my teenage clients and their parents to help them learn how to handle the distress that was bringing them to see me. A book that told stories of hope, of finding strengths, and using inner resources to overcome difficulties. Since publication I have found some time to think about why I wrote this particular book. In some ways it is blindingly obvious, though I didn’t see it at the time. When teenagers feel less overwhelmed it creates space for their natural creativity to enter the picture. Providing them with the tools to handle distress creates that space and with that space they can put their energy into discovering who and how they want to be in the world. I didn’t have those tools when I was a teenager, and I had to go the long road about finding them. If I can offer even one teenager a shorter road, then that would be a lovely outcome. I enjoyed writing the book. It felt like Writing with a capital W, not literary, but certainly a creative process, and it felt good. I have finally resolved my own internal idea that the only way to be creative is to be artistic. The feedback that pleases me most is when people tell me they enjoy reading the book. It is meant to be fun and lighthearted, but it is also very serious. We should be serious when we are talking and writing about mental health, but in being serious we don’t have to be solemn or heavy handed. You can read a chapter from the book here. Iseult White started her career in Silicon Valley training Apple engineers in software design. She founded a successful technology services company that led major organisational development programmes at Fortune 100 companies and authored two successful technology books. 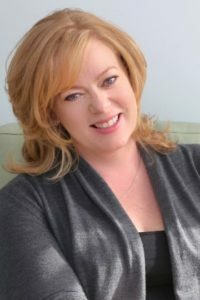 Years of helping people deal with the fast-paced change required by new technology taught her how challenging new directions are for just about everybody. On a mission to discover how to support people in adapting to challenging life circumstances she completed a masters in psychotherapy. She now works as a psychotherapist and mindfulness teacher, while continuing to support business leaders and organisations with leadership and resilience. 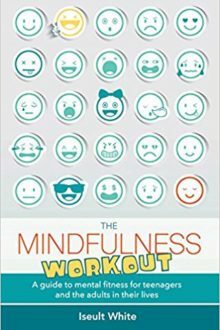 The Mindfulness Workout is a practical and fun guide to building emotional and mental fitness through the practice of mindfulness, meditation, and self-care. This conversational, information-packed book will help teenagers to manage their emotions, escape negative loops of self-criticism, build on their strengths, and learn to like themselves no matter what pressures they face. Psychotherapist Iseult White demystifies mindfulness through integrating the latest neuroscience research with easy-to-learn mindfulness practices. The book includes specific exercises for coping with exam anxiety, social media, relationship stress, social anxiety, and peer pressure, and provides case studies that show how teenagers have successfully adopted these practices in real life. It is an ideal resource for psychotherapists, teachers, and anyone in the helping professions who works with teenagers, and is written in a clear, user-friendly format that will engage teenagers and adults who are interested in learning how to navigate the inevitable stresses of adolescence.